Squiddle – Online chronological archive for vulnerable children. The secure Squiddle platform provides a private space for young people to communicate with their teacher, social worker or any other professional supporting the child. The concept turns Facebook upside down allowing the child to securely record chronological events and educational achievements privately. This Private space allows the teacher to communicate directly to the young person about anything supporting the child’s educational progress. This platform will allow the young person to upload photographs, documents and videos from any device connected to the Internet. Teachers and Social Workers can also upload supporting evidence including exam results, attainment information, attendance history, to support and in rich the child’s record of achievement. PEP completion rates have significantly increased for authorities using ePEP’s new feature (Mandatory Data Fields). System administrators can now customise the professional section within ePEP’s user matrix to ensure Social workers and Designated teachers complete important data requirements and questions. PEP’s are not completed within timescale, and when a PEP meeting has been organised. The ePEP alert notification is sent via external e-mail and duplicated to the internal messaging system. The PEP meeting can be completely organised remotely allowing the administrator to set the venue and time of the meeting. Invitations will be automatically sent to all individuals connected to the child via e-mail, saving a significant amount of time on the telephone. The platform can link directly into databases for education social care. Collecting vital information about the child before the meeting takes place this saves any duplication from the social worker or designated teacher. Communication between professionals online plays a significant role with increasing the speed and efficiency of PEP completion. The Social worker can support the Designated teacher prior to the meeting ensuring the child’s voice is heard. Teachers can also track termly attainment automatically with information gathered from the Sims database or any other supplier. Attainment data it can also be collected manually on the child by the designated teacher. Historical results for all Key stages are chronologically recorded within ePEP. Reports can be generated into XML spreadsheets or graphically illustrated within the main ePEP dashboard. FFT is a non-profit company established in 2001 with links to the Fischer Family Trust. We are solely focussed on providing accurate and insightful information to schools which enables pupils achieve their full potential and schools to improve. We have been processing the National Pupil Database for the DFE since 2004 and providing analyses to all schools and LAs in England and Wales for over for 10 years. FFTLive is a powerful online reporting system used by school leaders. We process data for all schools and pupils in England and Wales and provide online reports which analyse pupil results and pupils progress across all subjects and key stages, comparing performance to similar schools and the national average. FFTLive provides estimates of future pupil performance using FFT’s unique models which have been developed over 10 years. Last year FFTLive was used by over 75,000 unique school users to view 4 million reports. FFT provides data and analyses to all schools and LAs in England and Wales. Our estimates are used by teachers to inform the setting of ambitious and aspirational targets for students. We analyse pupil results and pupil progress and provide school leaders with insightful data to support school improvement and self-evaluation. FFT has managed the National Pupil Database for the DFE since 2004. Working in partnership with RM, our data analysts match and process pupil results and census information and calculate school performance indicators. We also match and process additional education datasets including data student outcomes from further and higher education. In Wales, FFT has contracts with the Welsh Assembly Government to process data and calculate value added progress indicators for all pupils and schools. Because we process national census and examination data on behalf of the Department for Education, your data is automatically updated online each term as new pupils enter and leave your school. So, you get the latest data for EVERY pupil in your school – plus much more! For more information on FFT direct subscriptions or to subscribe via FFT, please email subscriptions@fft.org.uk or call 01446 776262. To access the full range of FFT data for your LA and schools including FFT Aspire and your own FFT database, please email subscriptions@fft.org.uk or call 01446 776262. If you’d like to access FFT Aspire school and Sponsor level data, please email subscriptions@fft.org.uk or call 01446 776262. All content provided is copyright of FFT. Please find links below to the source information and use the following useful links provided to find out more. One of the great features of ePEP are the sections for the young people to complete using interactive avatars. The young person has numerous options to choose from, children with reading difficulties or a visual impairment significantly benefit from the spoken questions by the avatar. This technique guarantees for whatever reason the child cannot read or has difficulty communicating by the written word to have their say. The company has worked closely with Gloucestershire Council in developing a questionnaire for youngsters who have difficulty communicating using symbols used by Widgit Symbols software. Many local authorities already have access to Widgit software so can freely use the questionnaire in the SEN module of ePEP. This technique using symbols might look simple compared to ePEP’s under-water environment, however this could over excited SEN children. The symbols have been an overwhelming success with young people enabling them to easily participating with the familiar language. Many SEN special schools are also very familiar with these symbols. The ever expanding Widgit Symbols Set has been terms of the past 30 years and now contains more than 12,000 symbols, which cover an English vocabulary of over 40,000 words. Widgit’s simply-drawn, colourful symbols each illustrate a single concept, in a clear and concise way, and cover a range of topics (including many curricular areas) wide enough to make them suitable for symbol users of all ages and abilities. 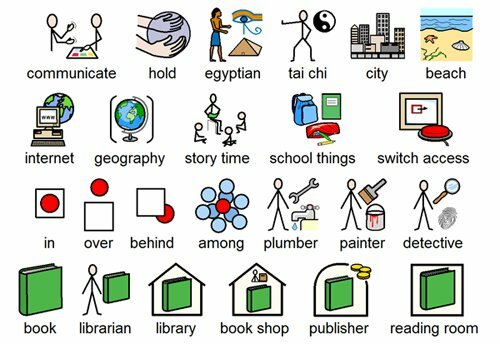 Widgit Symbols are used all over the world, supporting 17 languages, increasing the accessibility of written text, giving readers of all literacy levels greater access to information. As the Widgit Symbols Set is designed specifically for written information, Widgit Symbols users can develop a real independence in the reading and writing. The new Widgit Symbols Set was launched in October 2002. This is a result of a two year development project involving many practitioners. There are four pieces of statutory guidance that determine what a PEP contains, how it should be used, who does what and when it needs to be completed and reviewed. For social workers, The Children Act 1989 Guidance and RegulationsVolume 2: Care Planning, Placement and Case Review,covers the PEP and how it should be completed from a social care view point. Being part of the care plan Independent Reviewing Officers (IROs) need to review PEPs. TheIRO Handbook says IRO’s need access to a completed PEP at least three days before the care planning meeting. Something ePEP easily accomplishes as IRO’s can have access to a young person’s EPEP at anytime. Local authorities have a statutory duty in Promoting the Educational Achievement of Looked After Children. This guidance cover their role in supporting the PEP process. The post of Designated Teacher, like the Special Needs Co-ordinator, is statutory in schools. The school governing body has to make sure their school is meeting all its lawful obligations regarding children in care. These are defined in, The Role and Responsibilities of the Designated Teacher for Looked After Children: Statutory Guidance for school governing bodies. Chapter 4 of the guidance is about Designated Teacher and their role in its completion. It gives a good overview of the whole process. There is no single clear cut guide, just for PEP’s. It is a matter of reading the four bits of guidance together about PEPs that gives an overall view of what is expected. From time to time the DfE re writes or updates parts of guidance, such as the guidance on the Pupil Premium ,which did not exist when the above guidance was published. The PEP is part of the care plan and school record. Where they are used effectively, PEPs improve the educational experience of the child by helping everyone gain that clear and shared understanding about the teaching and learning provision necessary to meet the child’s education needs and how that will be provided. For this reason the school and local authority (through strong links between the designated teacher and, for example, the local authority virtual school head) have a shared responsibility for making the PEP a living and useful document. The role and responsibilities of the designated teacher for looked after children: Statutory Guidance for school governing bodies, section 4.1.4. The PEPs have come about because children in care, overall, fail in education. The PEP is a tool to help focus on a child’s progress through education. The ePEP platform has been developed with local authorities, schools and young people to meet the government’s PEP requirements but brings greater transparency on everyone’s roll in making a child’s education a success. EPEP is a very flexible platform, catering for children in early years, statutory school age and post -16. Local authorities can individually program facets of the ePEP environment to respond to localised need. Thus being able to tailor how professionals and young people access and complete the PEP. Provided an ePEP user logs on to the internet, an ePEP can be opened at any time, this allows easy on the move, office, school or home access. The Virtual School Heads will be responsible for managing the Pupil Premium. The Pupil Premium must be used for the looked after child’s educational needs as described in their Personal Education Plan (PEP). ePEP online has launched the new Pupil Premium Resource Tracker developed with Stoke-on-Trent and Kent County Council. The Pupil Premium Resource Tracker (PPR) enables local authorities to track expenditure against individual targets for looked after children. The Virtual School will now be able to see how much money has been spent on different types of interventions based on the Sutton Trust (categories). Virtual Schools will be expected to distribute Pupil Premium Plus termly and this will need to link to a termly PEP, which fits with education timescales. Pupil Premium Plus will be available to a larger number of LAC (the criteria has moved to the first day in care, increasing the average local authorities expenditure from 120k to 700k). From September 2014 we would like to encourage local authorities using paper based PEP’s to consider using ePEP online (the Electronic Personal Education Plan). The system is being used with some of the largest authorities within the country including Lincolnshire, Gloucestershire and Kent County Council. Once ePEP is up and running, there will be a reduction in workload for social workers but higher expectations in terms of termly PEPs, quality and completion rates. The Department for Education published education outcomes for looked after children who had been in care for 1 year or more on 31 March 2013 on 11 December 2013.